Bentley Motors is celebrating its 90th anniversary and has now confired that its all-new large saloon will be revealed - and named - in August at the Pebble Beach Concours D' Elegance in Monterey, California (USA) where the company is a featured marque. Founded by W.O. Bentley in 1919, the company's first production car, the 3-litre was delivered in September 1921. Over the next ten years, Bentley went on to produce an array of iconic motor cars. At the same time, the exploits of the immortal Bentley Boys - a select group of businessmen, sportsmen and bons vivants - forged the company's proud sporting pedigree both on and off the racetracks of Europe. The Bentley Boys made the legendary Le Mans endurance race their own, winning five times between 1924 and 1930. The all-new grand Bentley captures the 1920s grand touring spirit of the Bentley Boys, delivering the effortless driving, exclusivity and adventure desired by the real motoring enthusiast. A unique fusion of elegant design, hand craftsmanship and technological innovation, the new model embodies the potent yet luxuriously refined driving experience that is pure Bentley. These have been the hallmarks of a Bentley since that first test drive in 1920. It is fitting that the 90th anniversary of the Company will be marked by an all-new car. Such events are rare milestones in the Company's history. Designed, engineered and built in Crewe, which has been home to Bentley Motors for over 60 years, it has been a once in a career experience for many involved. 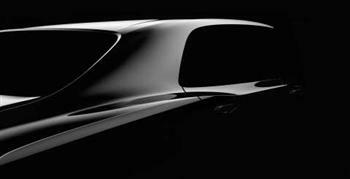 The car and its name, which will be revealed at Pebble Beach on 16th August, signal a new era in British luxury motoring.